The Bubblegum 8 cube room divider is a backless storage unit that can be used on its own or can be stacked on top of the Bubblegum large school storage cupboard to create an innovative classroom storage solution. Designed for use in schools, pre-schools and nurseries to save space and create a bright and visually appealing learning environment. Constructed from 18mm durable MFC which is available in 4 eye catching colours – cyan, tangerine, lime and white. 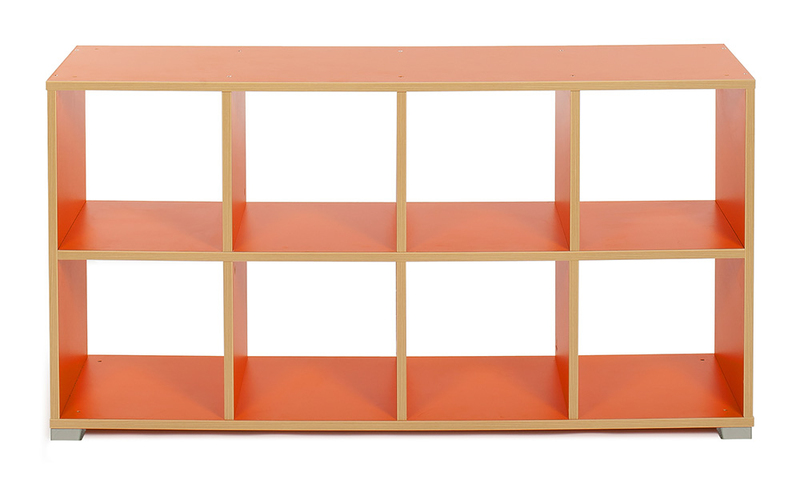 Each unit is finished with ply effect edging in a modern Japanese Ash finish and comes with durable plastic feet and connecting pins for secure stacking if required. 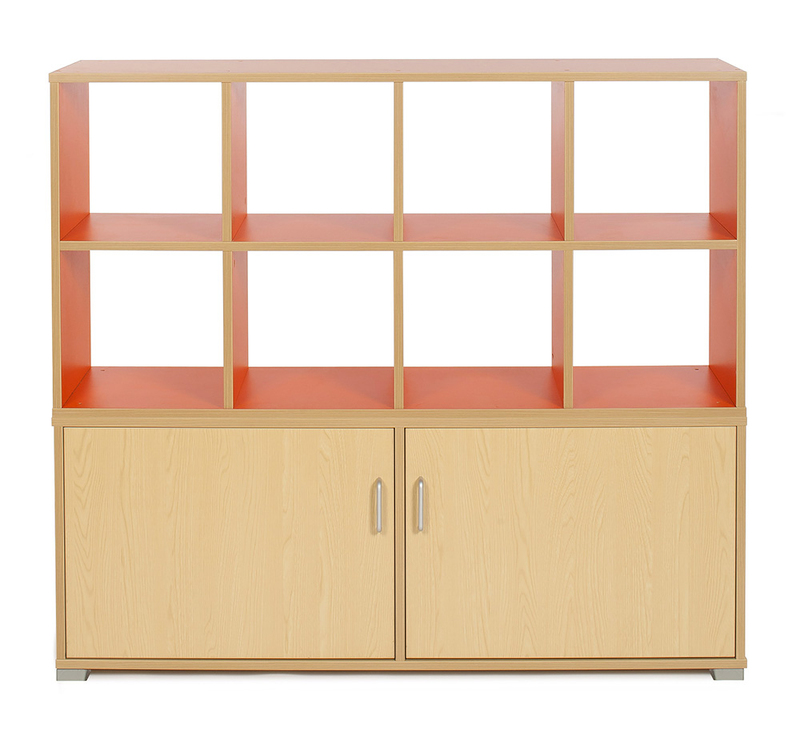 An innovative space saving classroom storage unit perfect for storing everyday classroom materials. 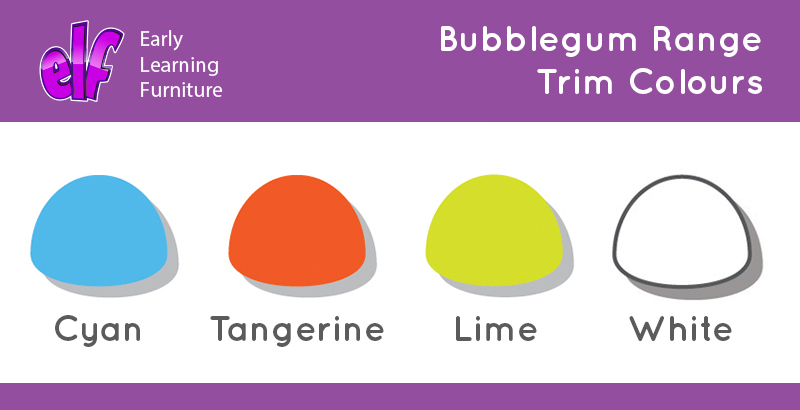 Ideal for adding a splash of colour to your classroom.